It’s finally here … only two more weeks on our temporary campuses. We’re only 10 terms later than we were first promised, but we’re almost there. 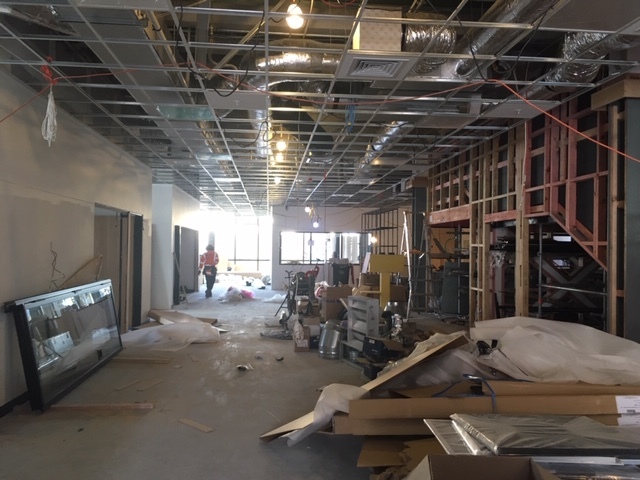 When I was first employed in the Director’s role, I remembered being really excited about the possibilities a new building would provide the students, the staff and the community. As time dragged on I became more frustrated by the barriers that our current sites pose, but was so impressed by what we were able to achieve despite our poor facilities. It’s a credit to everyone involved in the school since the February 2011 earthquakes, that I imagine that for many, leaving these sites will be sad. We are planning a farewell … read further down to see how you can contribute. In terms of getting familiar with the new location, I will be sending you out information in the last week of the school holidays. We also have planned to make the IEM days an opportunity for you to look around the building before / after you’ve had your IEM. We really want you to make this place your home. It will take time to do so, so please be patient with the LAs. They, like you, will be learning how to make this home too. Kelsey is taking leave from her Sports Coordinator role for the rest of the year. We are therefore looking for someone willing to cover her position for the rest of the year. The role is 15 hours per week and there is a job description here. 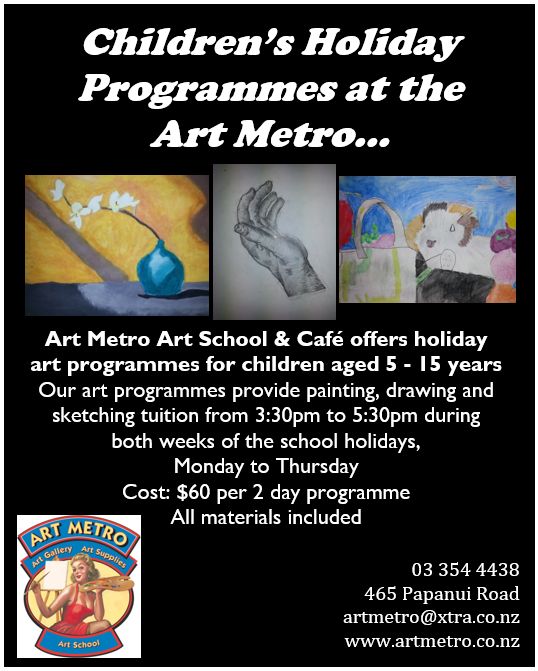 To apply just email your CV and a short message outlining your suitability for the position to application@aotawhiti.school.nz. Questions were asked about what the school was doing to provide carparking for families wishing to work with students during the day. What would happen if we just parked on Mollett Street / St Asaph Street illegally and all at the same time? There are different needs for drop off, short stay and long stay. 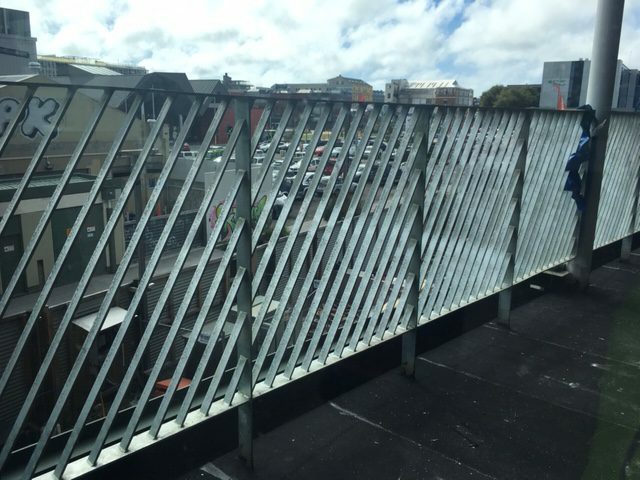 Could South City / New World be approached regarding carparking? Walking bus from bus exchange to school. Could we get concession parking with the car parking building. Could we stagger arrival of students (glidetime in the mornings/afternoons). Would the council run a shuttle service so people could park further out and then catch it into the cbd? Identify key pick up areas on common bus routes where families could drop off kids and parent takes them in on the bus. Some sort of free shuttle in the CBD to support parking outside of CBD (I think they were thinking like the old free yellow shuttle. I have shared this discussion with the council / Ecan. They are really looking forward to meeting parents on Thursday. They will look at answering as many of the questions as they can. They have already started trying to support us, by arranging a meeting with the management at South City early next week to see what may be possible. They will also be there to support those unsure how they could use public transport or cycleways to get to work. They ran an excellent session with the staff on Monday. I’m sure you’ll find it useful. We’re making progress … I’m growing increasingly confident that we may actually move in on time! We’re organising moving out (Jacinta and Liam have asked for help from you in emails) and moving in. Take a look at the photos that Niki has in her message below. 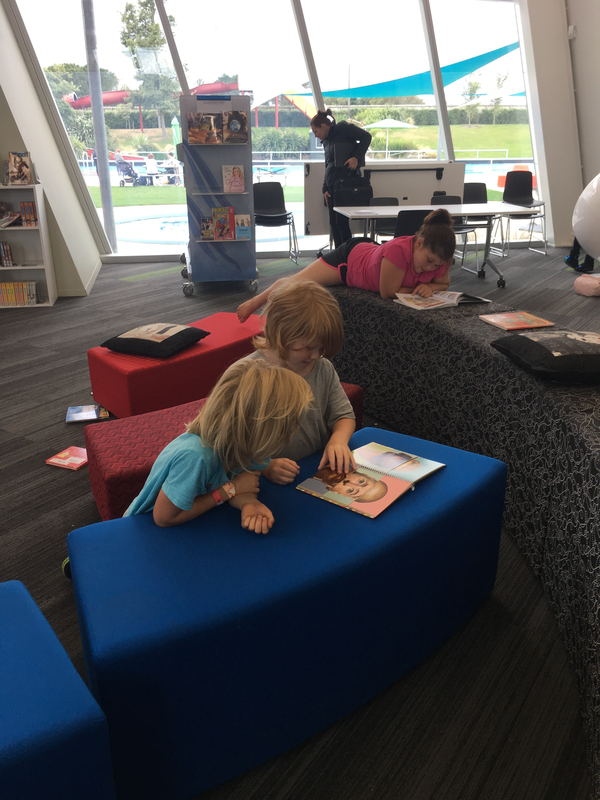 I took the leadership team from Whangaparaoa School on a tour of the Discovery Campus recently. They were amazed at the positive relationships between students and learning advisors and parents. 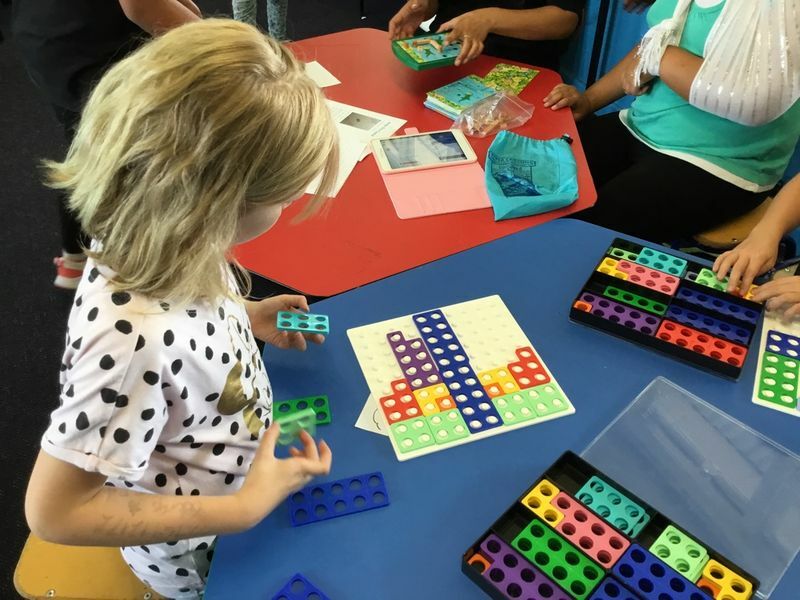 They were impressed that even while there were boxes being stacked in preparation of the move, that the students were engaged and willing to talk about their learning. I’m really grateful to Archie and Dot for their excellent explanations of how their learning works. The BoT have confirmed that the first week of Term 2 will be 3 teacher only days followed by 2 IEM days. This will allow us as a staff time to familiarise themselves with the building (including evacuation procedures and health and safety). As a result of this decision I have moved the 2 IEM days from the end of term 1 to the end of the that first week. The idea here is to allow all families to see the building for the first time at the IEM (think of it like a personal tour). I am so grateful for all of the help we have had and for all of the extra jobs staff are taking on. Thank you so much for helping make this move as smooth as possible. Jacinta recently sent out an email with this google form asking people for help as the move ramps up. If you are able to help, make sure we know! 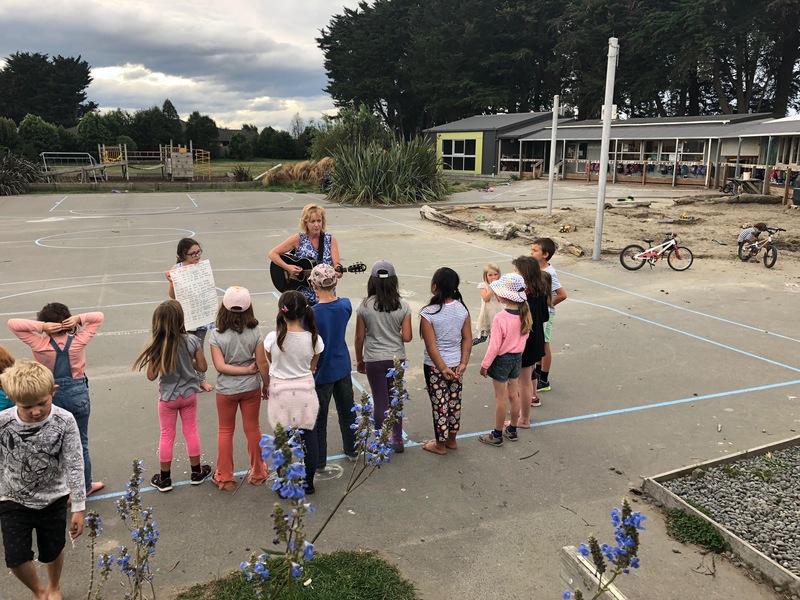 On Tuesday as the school day came to a close I was wandering around smiling at all of the goings on, when Music Mary’s singing group came out of Hawk where they had been practicing and treat everyone there to an impromptu performance. 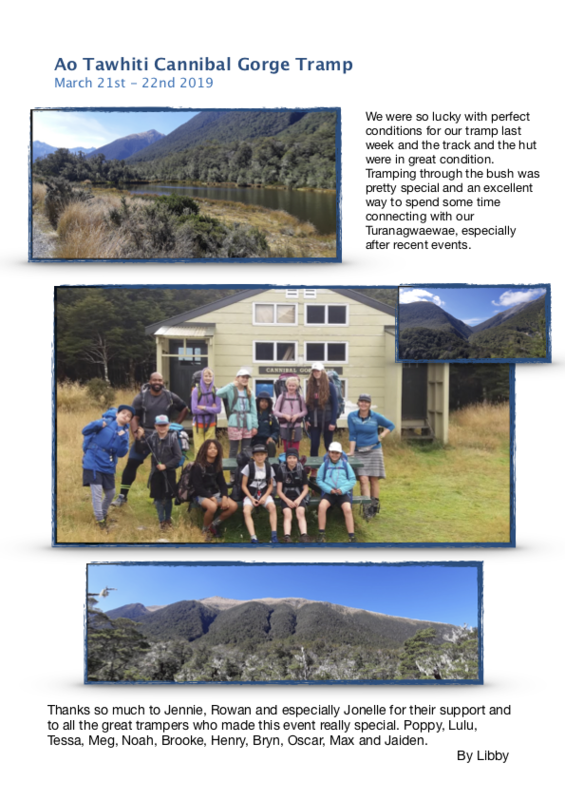 I am so proud of our tamariki and delighted they have opportunities like this to follow their passions. 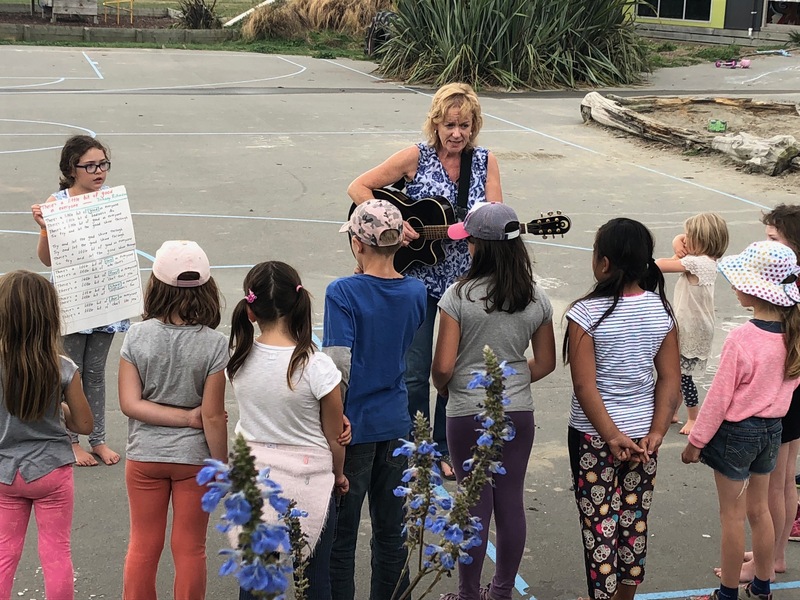 Thank you Mary Dunne for all you do for our kids, and thank you singing group for allowing me to photograph you and put you in our newsletter! On Tuesday and Wednesday several Y6 students took part in Christchurch City Council’s Cycle Safety programme. They carried out WOFs on their bikes and helmets, met and talked to a policeman, practiced going around the court weaving in and out of cones, studied some rules of the road and worked on cycling with one hand using the other to indicate left or right. There were some fab photo opportunities but disappointingly I didn’t have my phone at hand! Then, most of them went out onto the roads around school, getting used to roundabouts and cycling in traffic. Thank you to Jac and the team for your kindness, patience and positivity as you taught our students these important safety skills. Tino pai tamariki ma, we are proud of your achievements! A week ago I was lucky to go on a site visit at our new school. 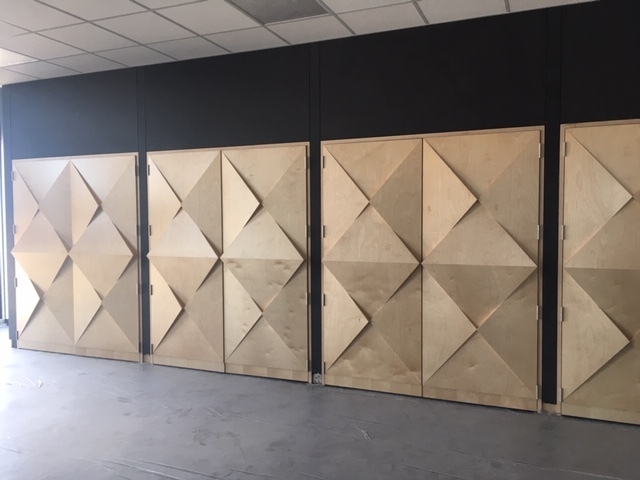 It is very exciting to see it coming together! 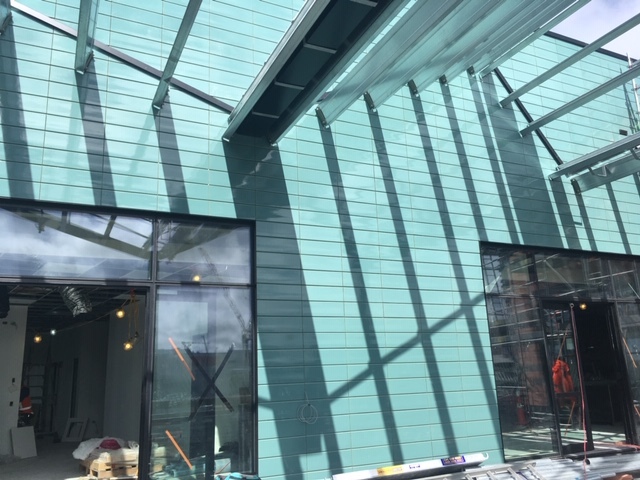 The spaces are definitely taking shape and it was much easier to visualise what it is going to look like than on previous visits. 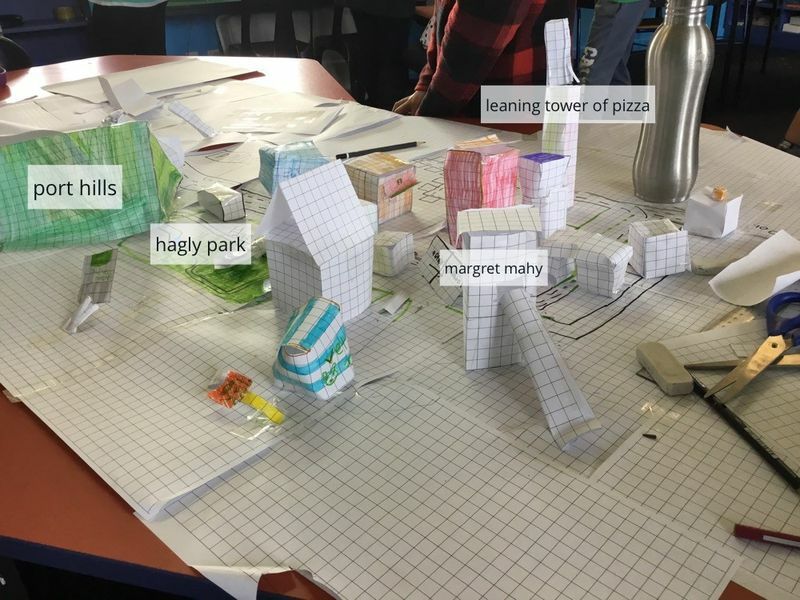 The architects have designed some beautiful features for our school, if any of you enjoy a sense of pleasant aesthetics! I’ve had a couple of questions regarding when IEMs are being released to book. We are going to start using a new system this coming term. I just need to spend a bit of time letting staff know how this works and then I’ll roll it out to the community. It’s pretty user friendly and used by a lot of other schools, so hopefully many of you will have already experienced it. This will come out as a separate communication in the middle of the week. Many of our Unlimited Campus students currently have a Trust Licence. The Trust Licence is a system for Year 7 students and beyond, this system is going to be critical when we are in the CBD. The system allows students to be able to access the city, without an adult, and take advantage of the resources that exist on our doorstep. 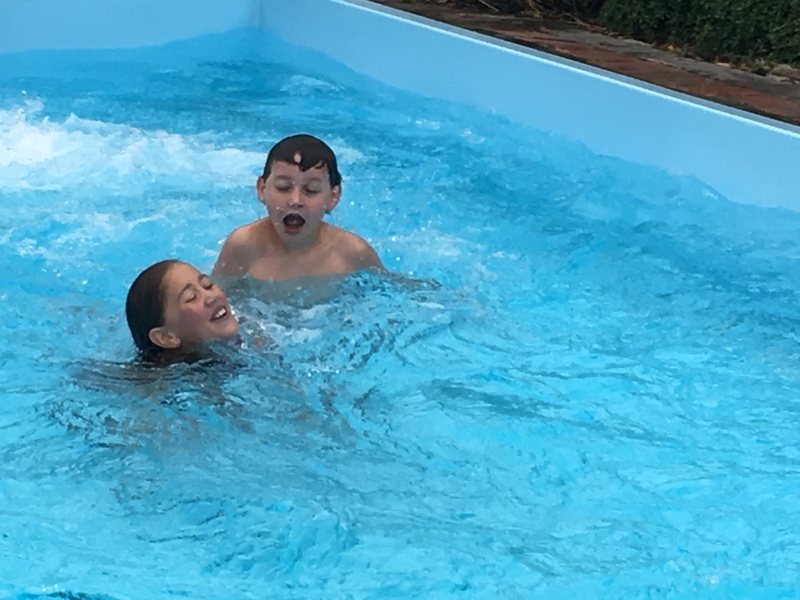 We believe that learning happens everywhere and the Trust Licence allows our students to place their learning in the most appropriate setting. are Year 7 and above. have signed the Trust Licence agreement. have parents who support, and have signed, the Trust Licence agreement. have an agreement that has been approved by their Community LAs. Clearly the CBD presents a different environment, with different challenges. With this is mind we have decided that every student needs to reapply for a Trust Licence when we move to the CBD. We need to be able to guarantee each students safety and their ability to be respectful in this new environment. The Trust Licence is a privilege not a right, only students who we guarantee can be safe and respectful out in the CBD will gain a Trust Licence. Year 7 – 14 years old. This requires parental support and permission, Community Learning advisor approval and graduation from a Trust Licence class. 14 years of age and above. This requires parental support and permission and Community Learning advisor approval. The signed agreement needs to be returned to HBLAs, they will then have a discussion in Community Meetings about the suitability of each student for a Trust Licence. It’s been fantastic seeing the response to PINS on the Unlimited campus over the past few weeks. 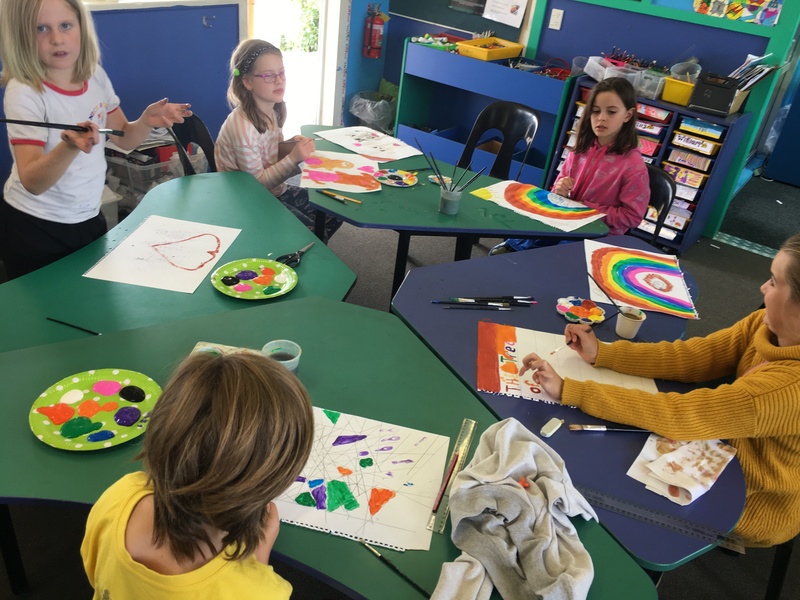 With about 45 student, parent and LA led workshops on offer the variety of options has been vast and the engagement in them outstanding. 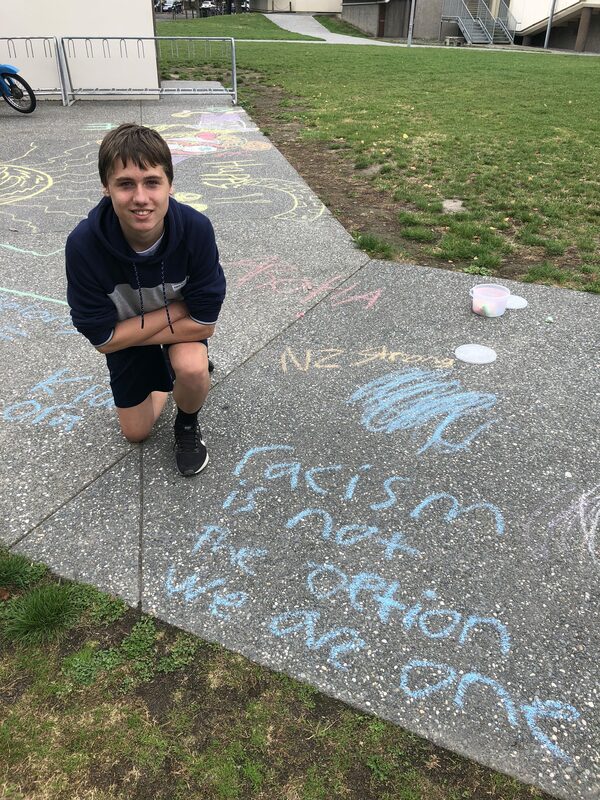 I’ve really enjoyed getting around the various options and seeing groups of people with a shared interest participating in a wonderful learning experience. Next term will see PINS extending from the success of the whole school day run in the CBD earlier this term, the long history of it on the Discovery campus and the recent Unlimited campus experience. You can find detailed information here. 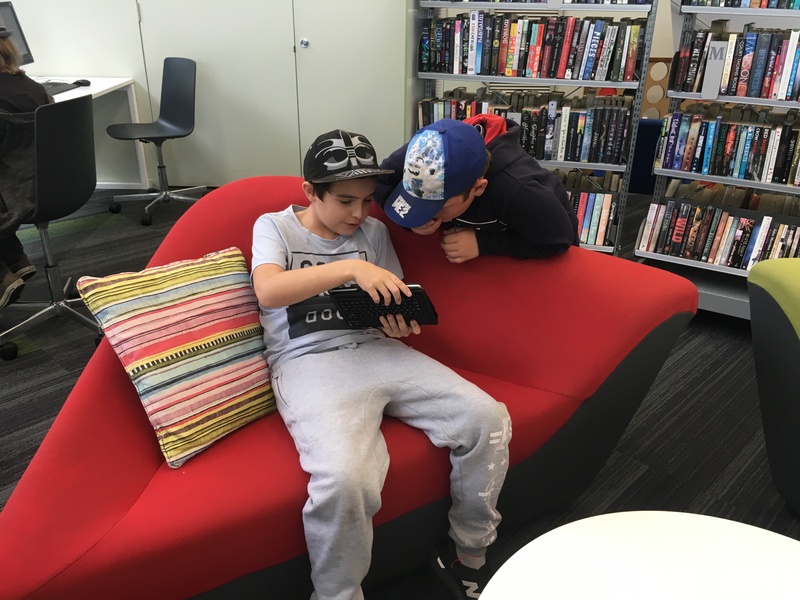 During this time of the day the year 7 – 13 HBLAs run the majority of their 1:1 meetings. The 1:1 is an important part of each students learning program. 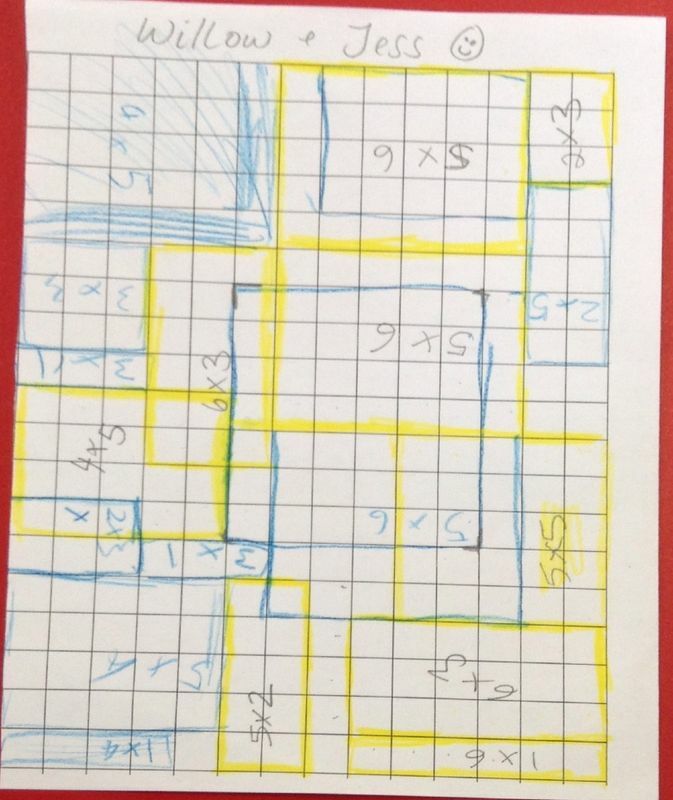 Regular 1:1 meetings allow the LA and the student to monitor progress against the goals that were set in the IEM and to intervene, adjust and modify the plan as required. On the days when a student does not have a 1:1 meeting it has been our observation that most students leave school and head home. We would like to encourage our students to make use of this time as learning time. By viewing this as a daily 45 minute study session and by making it a habit we believe that positive achievement benefits will result. We have an ENORMOUS amount of lost property in the office. Please check it thoroughly, before the end of the term. We will not be taking the lost property it into the new building with us. We will have shared food and a hangi as well as some entertainment. Hopefully a bouncy castle and pony rides!! For food we are having a hangi but we really need some wood to have the hangi. If you or someone you know could donate a trailer load of wood or even donating a few pieces of fire wood that would be so helpful. We are needing tables, chairs and tablecloths for our saying goodbye to school party. We would love some long tables to stick together with any coloured pieces of cloth or tablecloths. On Wednesday 10th of April we are having a Farewell Party at the Discovery Campus, and are looking for those attending to bring in a plate of food for the shared Kai we are having. If you are planning to come to the party, we would appreciate you bringing some food, gluten free, dairy free and vegetarian included. At the farewell event at school we are doing hangi for some of the food to serve people. It will not be enough for everyone to have a huge amount but most people will get some if they want it.. We will need donations. If you can give any veggies , meat and anything else please do . Please respond to this email if you can help. We would love it if people would bring named picnic rugs so we can have more places to sit. Please put your name on your rug so we can return your rug to you. We might need around 10-25 rugs depending on the size so email us back to tell us how many you have. Hi my name is Benjamin. I am putting together a presentation/sideshow for our farewell party. I am looking for old photos of both school, the sites we are on now and any videos people may have. 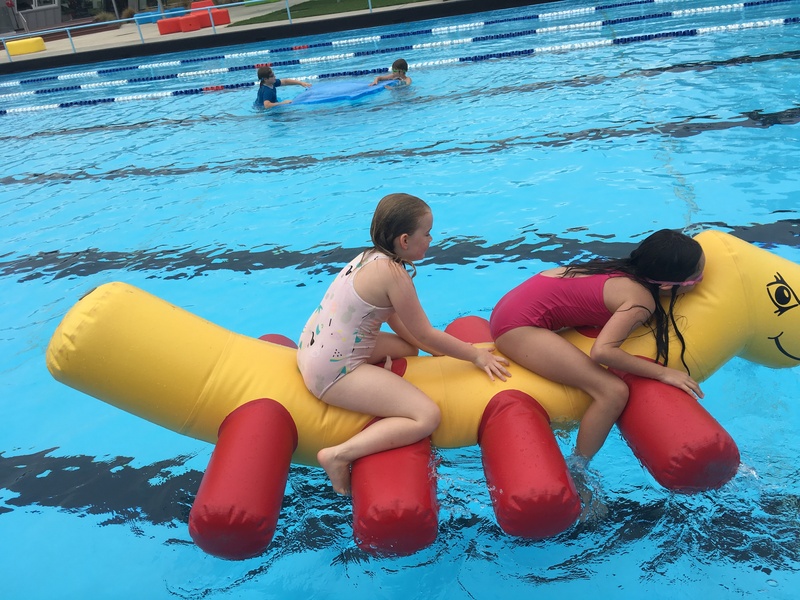 We are seeking strong, fit and uninjured volunteers aged eighteen or over to help us prepare for the move to the new school. We need help from after school on the last day of school (Fri 12 Apr) and over that weekend until Sun (14 Apr). This is the first weekend of the holidays. During this time we need to finish the Unlimited Campus packing then move all these items to the Discovery Campus. Classes are running right up to the last day for our Learning Advisors and we have to vacate the Unlimited Campus before the shift to our new school. The Unlimited Campus is much, much larger plus very spread out compared to the Discovery Campus and our timeframe to do this work is limited. This is why we need help from you to make this area a priority. We are doing a double shift for the Unlimited Campus. Fri 26 Apr to Mon 29 Apr (Term 2, Day 1) – Dependent on possession day, moving company takes our items to new school. We are so appreciative of your support and if you can help, please fill in the form so we can get back in touch closer to the dates to firm things up. As you are all aware Friday 15th was not what we ever expected it to be.We grieve for the lost and hurting. 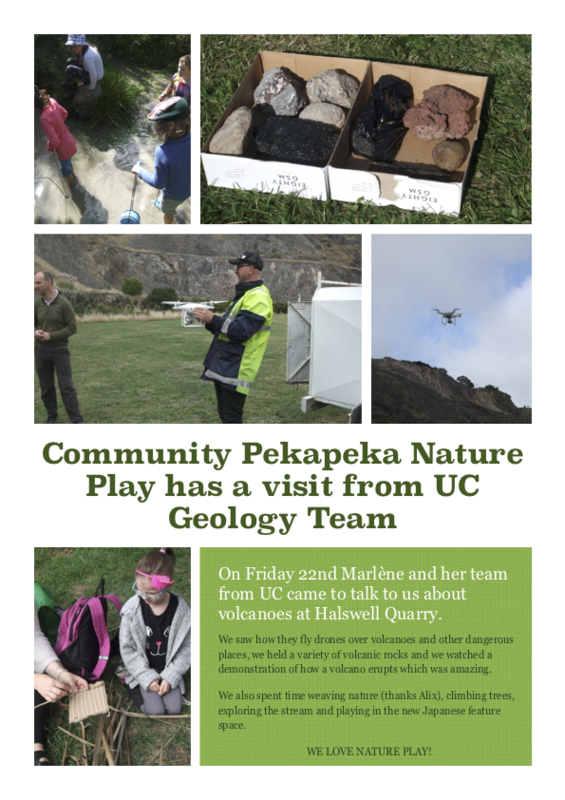 For Community Pekapeka our trip to town took an alarming turn. I feel I have so many people to thank for how well cared for we were as we sort refuge in the Arts Centre. To the team at Rollickin’ Gelato we are thankful for the cool cups of water and delicious muffins. To the Arts Centre staff we are thankful firstly for taking us in and then for putting the Arts Centre into full lockdown when it was demanded by a rather short LA. Thanks also for the free coke and sprite zero, air cooler and wifi. If you are ever in the Arts Centre please thank these folk. I have it on good authority that the gelato at Rollickin’ Gelato is a must experience, and having spent so long in Shopology I can recommend it as a gift shop for all ages. To the parents for respecting staff decisions and creating a safe environment which protected the children from knowledge of what was happening. To the children who gave us purpose and resolve. And finally to my team of LAs – Gina, Suze and Dean. I could not have asked for a more awesome team to be with at the time. 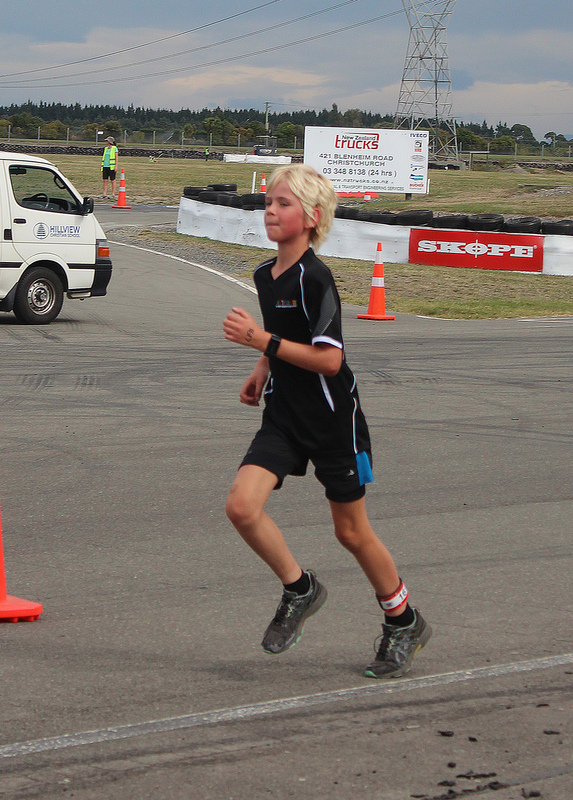 On Monday 25th March three students from Ao Tawhiti Unlimited Discovery competed at the Primary schools duathlon competition. 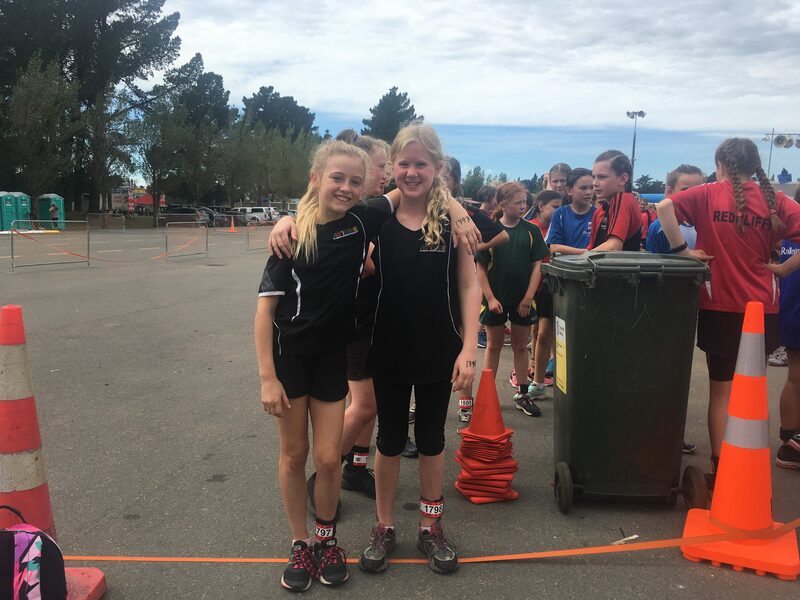 Daniel Watts, Meg Matthews and Lia Manning all competed in the year 7 age group where they completed a 2km run, 9km bike and then finished off with another 1km run. 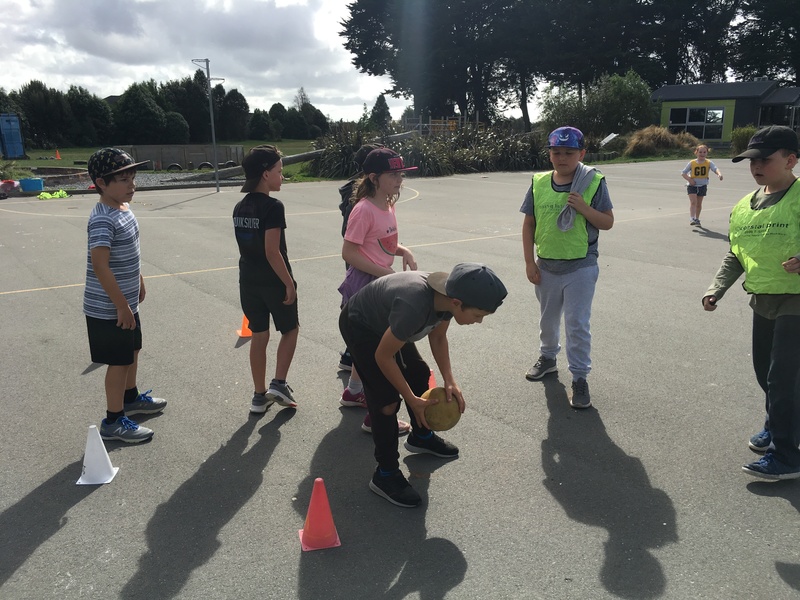 All 3 students showed great determination and represented Ao Tawhiti Unlimited Discovery with outstanding sportsmanship and courage. A huge thank you to Beth Watts and Clint Williams who supported these students at a quality event. Without the support and encouragement for these events the students wouldn’t be able to attend, so thank you for making it possible Beth and Clint. 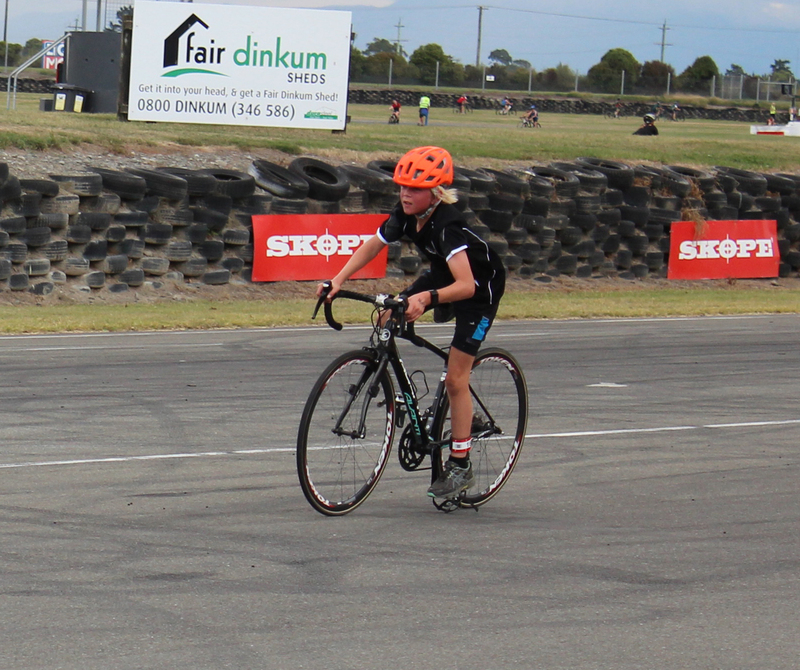 Some action shots of Daniel competing in the duathlon. 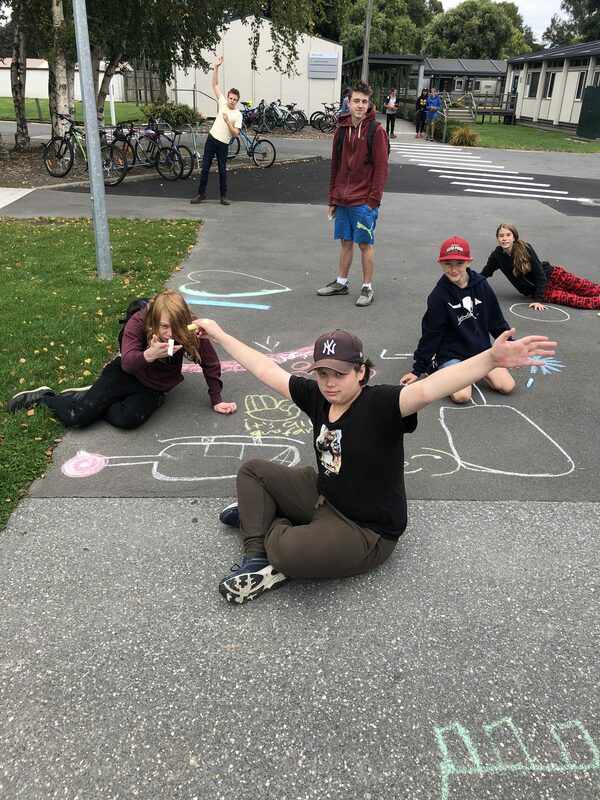 Your LA’s have had a planning day yesterday and are now hard at work trying to find a venue where we can again recreate this experience in term 2, safe from the weather :). 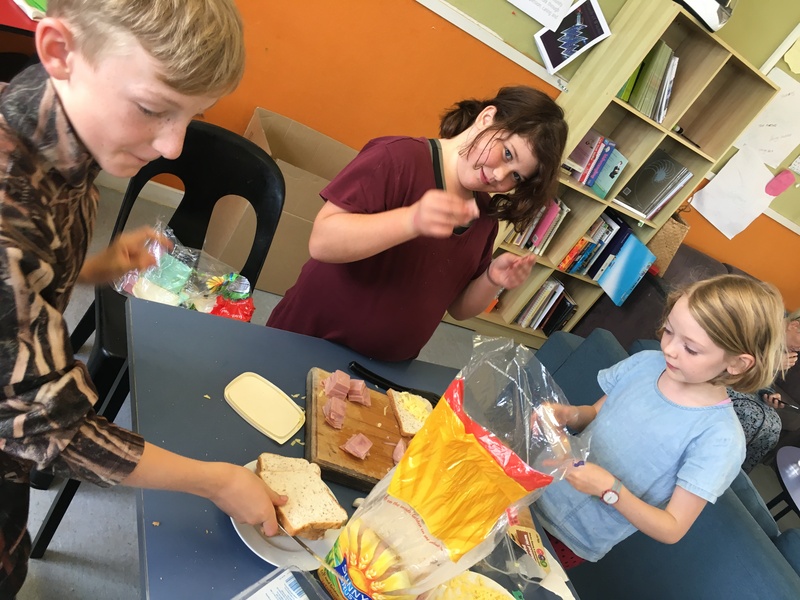 Today we have had a hauora (well being) day with children choosing workshops around sdl, art, pe, food making for the community. A lovely way to spend Friday. We also gave the kids a morning tea from LA’s to share our aroha for them as they travel through the last two weeks. Below is a form in blue for you to indicate your availability to help transport and supervise on the day. As we are in the ocean we need a ratio of 1 adult for every four children going. We also need permission to take your child on this trip, so even if you can’t help we need you to please fill in the form. Please email Melva if you can drive either van. Thank you everyone for Term 1 and for celebrating this with our tamariki. Melva and Team. Niki, Clare and Kate ran a great day of curiosity maths for the kids with a myriad of workshops. 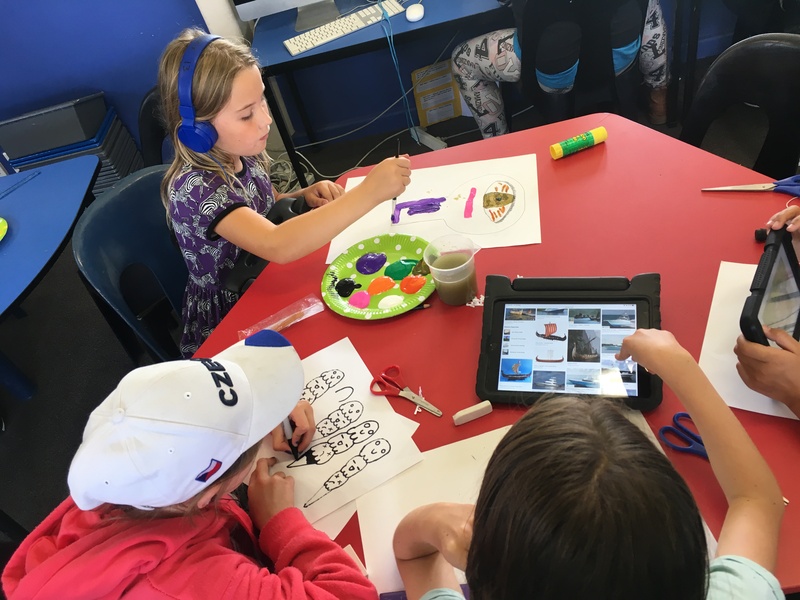 Have a look on your seesaw feed to see the great things your tamariki did and the cool attitude they tackled they day with. We really notice the great start kids get when they are able to plan their day from around 8.45 in the morning. We want to hit the ground running at 9 with planning already finished. Your help making sure your tamariki gets a good start to the day to do this is much appreciated. No Iem cover 2/3rd May. A reminder as will already be covered in the newsletter I’m sure, but there is no IEM supervision for children this time in upcoming iems next term. The kids first day at school (outside of the iem meeting) is Monday the of 6th May. 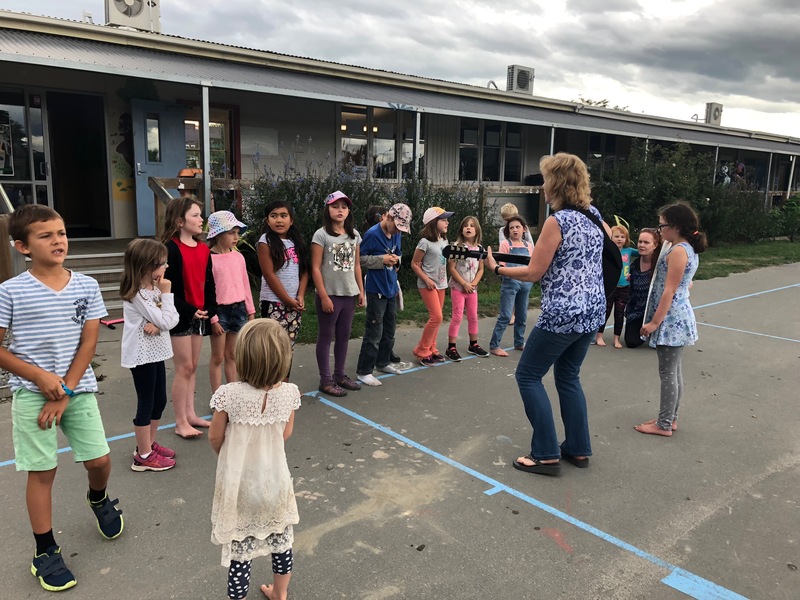 We look forward to seeing you during the week to help us with the tamariki’s learning and for the farewell in the final week of term. Not long to go till we start on the next exciting part of our journey. Ka kite ano, Melva, and team. As term 1 assignments are soon due for completion, it is timely to remind everyone of our policy on plagiarism. This policy is derived from NZQA policy and is included in the student NCEA handbook (distributed at Monday’s NCEA parent meeting). Students may be required to sign an authenticity statement, perform certain parts of assessment tasks under close supervision, or show through interview and the existence of notes and supporting material that the work submitted by the student is genuinely his/her own work. Plagiarism occurs when passages of text are copied into an essay without being included in quotation marks and without sufficient acknowledgement of the source for the quotation. Minor variations to the wording of the original are not sufficient to avoid the charge of plagiarism. Plagiarism is regarded very seriously by NZQA and Ao Tawhiti Unlimited Discovery, and may result in disciplinary action. Any student assessment in which plagiarism occurs will not be given a passing grade. Under no circumstances may you copy the words of an article (including video or audio media) or book without acknowledging it as a quotation. Nor may you copy or borrow from the work of other students, or have any other person produce the assessment for you. Be aware that we view these forms of cheating very seriously, and that we regularly take steps to detect plagiarism in work submitted by students. If we find that that you have engaged in dishonest practice, your grade will be Not Achieved and you will not be granted a re-assessment opportunity. You may also be subject to disciplinary action. Please support your students in making good decisions when completing their assignments. On Monday we wanted to do something positive to respond to the events of Friday 15th March. 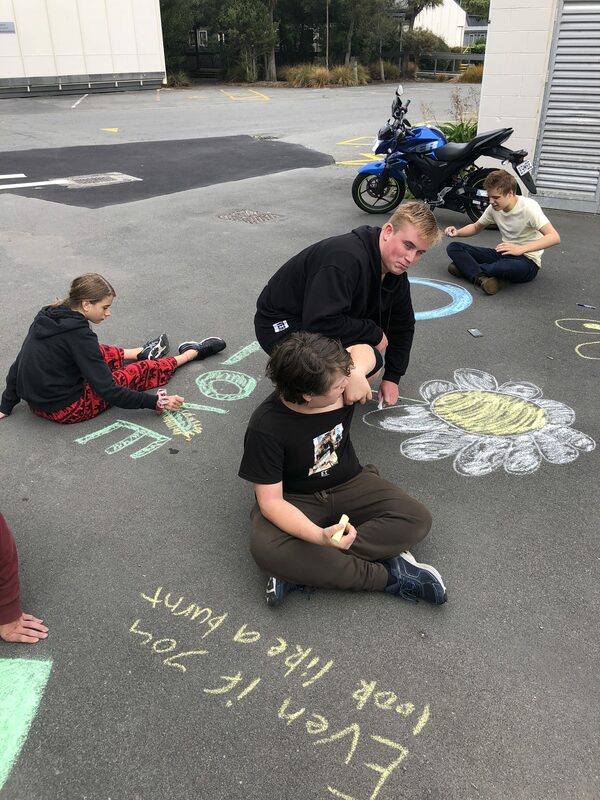 We decided we would use pavement chalks to create positive images and words around our campus. It had a really nice feel to it at the time and gave our students a positive outlet. I hope you enjoy the photos! We have also been discussing possibilities for an end of term Community trip. Our plans are to spend the day at Blue Skies in Kaiapoi on Tuesday April 9th. Please keep an eye on your e-mails for more specific information in the next week. Thanks again for all the support we continue to receive in our community. In community time (L2L time) this week we acknowledged the sadness that our country is experiencing. We reminded students that it is ok to feel and notice different emotions as they arrive and we let students know that our counsellor and LA’s are here if needed. We also maintained our routines which is a suggested strategy for young people in times like this. 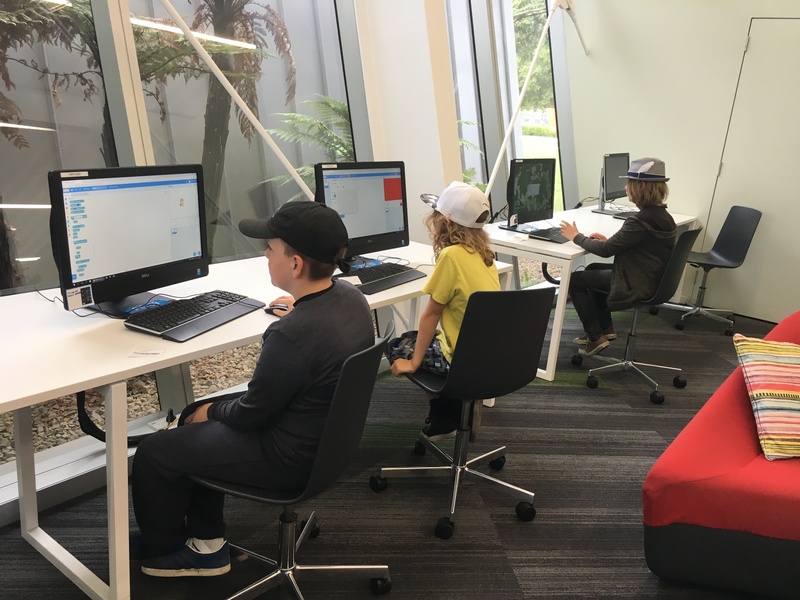 In other news, we are currently planning to hold a community day on Tuesday the 9th of April at Blue Skies in Kaiapoi – keep and eye on emails for updates. And we are planning a Celebration of Learning for the yr7-10 communities on Friday 12th of April between 10:50 and 12:20. Tessa Marshall won 2nd place in the 2019 Canterbury Seaweek Poetry Competition with her entry “Sea Sonnet. Our junior philosophers have produced a stunning selection of essays about the trial of Socrates. They have summarised his arguments for accepting the death penalty and have offered their own arguments in support, or disagreement, with the great philosopher. 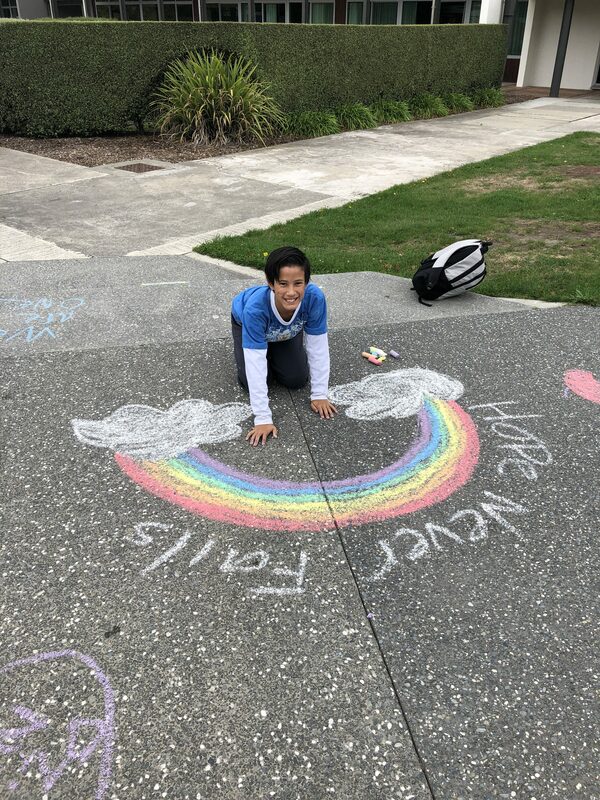 Our senior students are working through the NCEA level 3 Philosophy of Religion course in which they examine the questions “why is there something rather than nothing?” and “why do innocent people suffer?”. Our discussions have been rich and invigorating. Some of our senior students are working on the University of Canterbury undergrad Philosophy course, Phil110 – Science: Good, Bad, Bogus. So far they have achieved excellent results in their weekly assignments and are well on track to achieving points towards their degree. If you would like to know more about our Philosophy programme, please get in touch.